​​In 2007, a community in Snohomish County was threatened with closure and nearly every resident in that community faced certain loss of what was their greatest investment of value: their home. The short story is that they were able to save their community from developers and preserved their park as an affordable lifestyle for the community’s senior residents. Realizing that their experience could help others to the same end, AMHO was born. Today AMHO is a not-for-profit Washington State Corporation with an IRS status as a 501(c)(3) organization. Our stated purpose is to promote, represent, preserve and enhance the rights and interests of manufactured home owners in the state of Washington through communication, education, negotiation and perpetuation of our communities. Our major focus has been the education of elected officials and the general communities, to support the production of more affordable housing, and to strengthen the bargaining power of manufactured home owners living in communities. 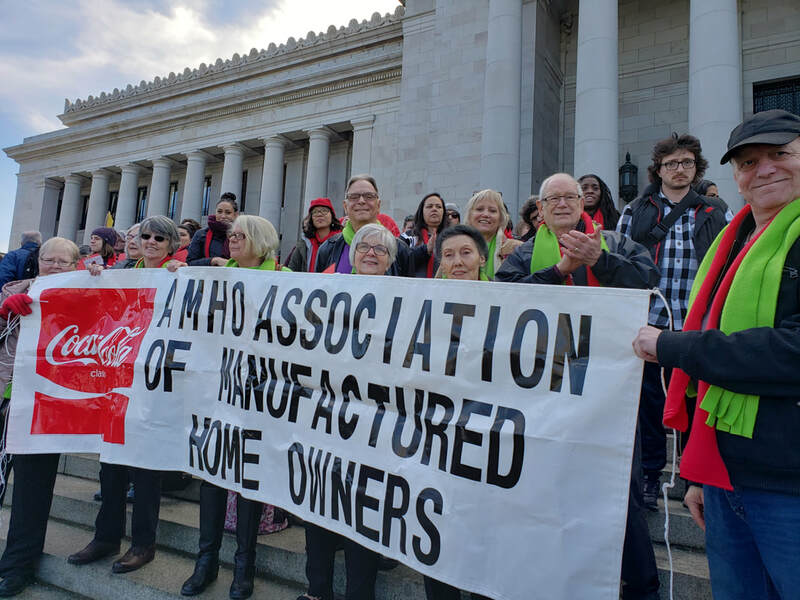 AMHO GOES TO OLYMPIA: AMHO board members joined Washing Low Income Housing Alliance celebrate Advocacy Day at the Capitol on Thursday, February 28th. Thank you Halcyon Homeowners for joining in and Joanna Crocker for representing her group at Inglewood East. Together we will succeed! 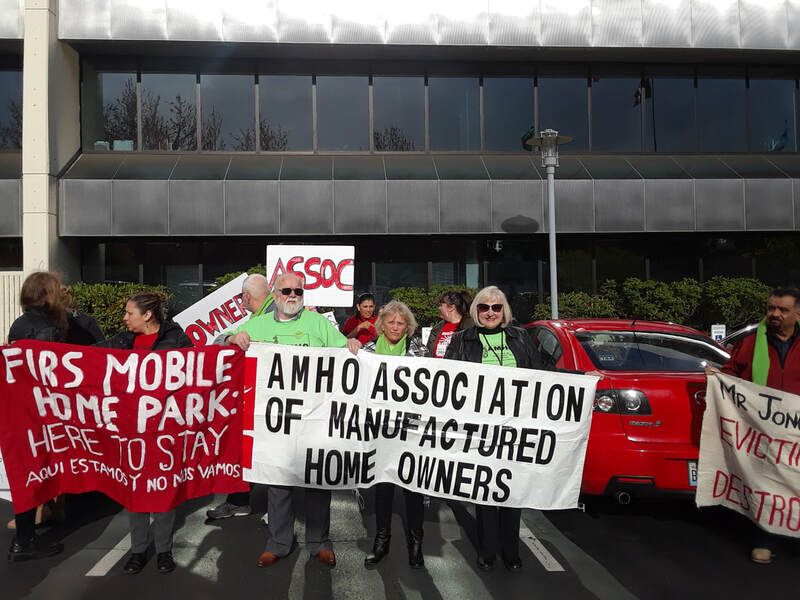 AMHO stands in solidarity with the Firs HOA at the press rally at SeaTac City Hall. 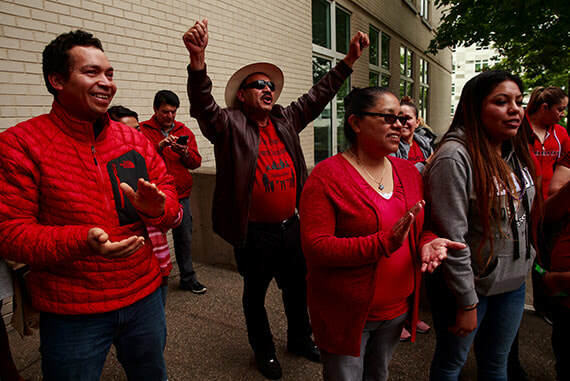 AMHO supports Firs’ home owners as they fight to save their homes and their community in SeaTac.